PowerSchool is going to continue to be our official Gradebook of Record. When parent(s) want to view their child's overall grade they should always refer to PowerSchool. Schoology will send grades to PowerSchool, but your PowerSchool gradebook will not mirror Schoology's gradebook. For example, sometimes you may find yourself entering grades in PowerSchool but not in Schoology. Currently the gradebook sync only goes one way - Schoology into PowerSchool. 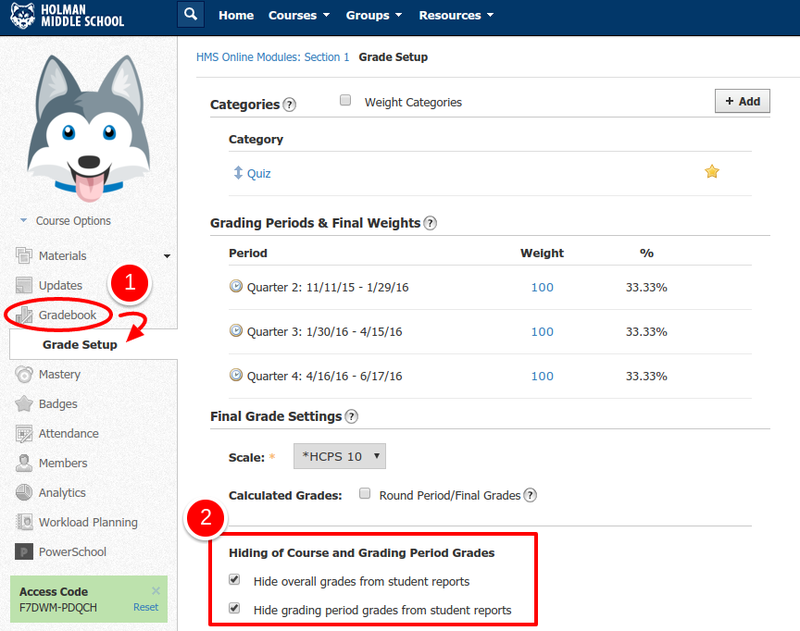 In order to not confuse parents it is important that you check the boxes for hide overall grades from student reports & hide grading periods from student reports under Schoology Gradebook Setup. By checking these two boxes, parents can view individual grades in Schoology, but not overall averages. They will need to view marking period, semester, and final grades in PowerSchool. You will need to update these settings for all of your courses. 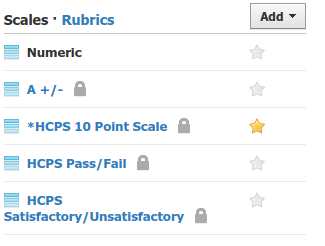 You will also want to star the *HCPS 10 Point Scale as your default grading scale. H21 classes can be set to HCPS Pass/Fail.